The Irish Film Institute (IFI) has launched the IFI Strategy 2017-2022, detailing strategic objectives across each of its core activities – Exhibit, Preserve and Educate. Highlights of the plan include a number of capital investment and refurbishment projects, new archival vaults to be built off-site, an increased commitment to the amount of Irish film featured across its programming, and a focus on developing the media literacy of young people as part of its film education policy. The result of a year-long consultation process, the IFI Strategy 2017-2022 expands the Institute’s existing three core pillars to introduce a fourth institutional strand that will see the IFI reinforce its leadership position in promoting film culture across the island of Ireland and internationally, thus ensuring it plays an integral role in national cultural policy conversations. Underpinning these four pillars lies a wide-ranging people-focussed strategy that will see Irish filmmakers and the IFI’s audience placed at the heart of its activities. 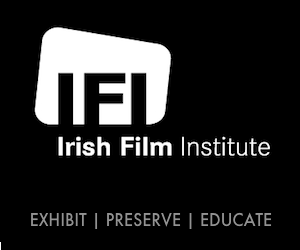 Coinciding with the 25th anniversary of the IFI in its landmark premises in Temple Bar, the first year of the strategic plan will see key infrastructure projects being delivered, including the refurbishment of the IFI’s two biggest exhibition screens, as well as a major renovation of its atrium roof. These projects have been made possible by funding provided by the Department of Arts, Heritage and Gaeltacht’s Arts and Culture Capital Scheme 2016-2018 under the auspices of the Creative Ireland Programme, and by Dublin City Council. Later this year the IFI Irish Film Archive will increase its capacity for preservation and acquisition through the opening of climate-controlled vaults at Maynooth University, while the IFI will continue to increase access to the wealth of material held in the IFI Irish Film Archive through the launch of a suite of apps to bring content from the Institute’s IFI Player to smartphones and televisions worldwide. The IFI will continue to underscore its commitment to our national cinema, film industry and filmmakers by ensuring a minimum of 20% of titles exhibited within its main programme are Irish. The IFI also remains committed to providing a platform for filmmakers to engage with audiences through the numerous public events it holds during the year. As part of its education programme, the IFI will pilot a media literacy outreach initiative which will see a number of out-of-school film clubs established nationwide. 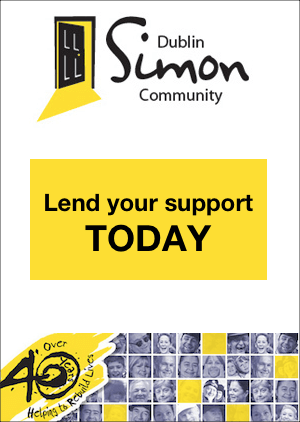 The aim of the project is to increase access, critical engagement and film appreciation particularly among young people, thereby fostering the next generation of cinema-goers and filmmakers, catalysing conversations and stimulating creative thinking. Other headline strategic outcomes under the five-year plan include a continued focus on the IFI’s leadership role in the increased provision of accessible screenings to audience members with hearing or visual impairments, a commitment to broad representation of diverse voices across all its programming strands, and Certification for the IFI Irish Film Archive under the Heritage Council’s Museum Standards Programme of Ireland. The full IFI Strategy is available to view and download on the IFI website.